Our competency lies in manufacturing an excellent quality range Electricians Tool Rigger. 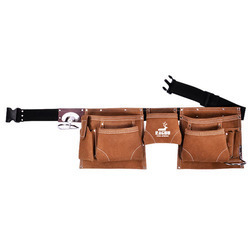 - Size Adjustable: 36" 50"
We are successfully meeting the varied requirements of our clients by providing the best quality range of Electrician Tool Pouch. 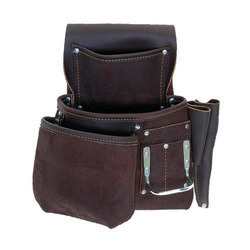 Manufactured from natural split leather, four pockets, seven tool loops, T-bar and chain, spring clip, tape pocket. Fully riveted construction. Belt not included. - Two Year Course Duration. Nabroco Tools & Technologies Pvt. Ltd. I I H M R University.